Americans are leasing a record number of new cars and trucks — more than 1 in 4 of the new vehicles rolling off dealer lots. That's not an encouraging trend. Leasing is popular because it offers lower monthly payments than traditional auto loans and allows buyers to drive a more expensive, luxurious car than they could afford to buy. But by the time they cover all of the up-front costs and extra fees for additional miles or excess wear-and-tear, they often wind up spending more than expected with nothing to show for it. 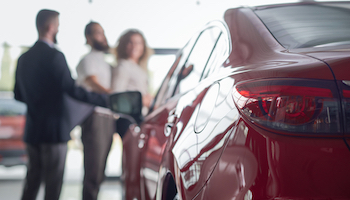 Leases are just another way automakers and lenders try to claim a big, never-ending piece of your paycheck. 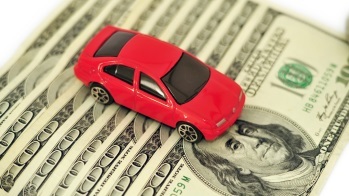 If you can't afford the payments on a loan, Anthony Giorgianni, associate finance editor at Consumer Reports Money Adviser, says it's a good sign you can't afford that car or truck. "Leasing puts you in a cycle to get a new car every few years when the depreciation is greatest," Giorgianni says, "and you just have [monthly payments] indefinitely." 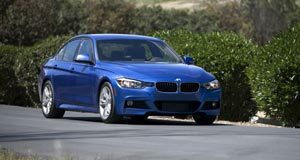 To consider why leasing is so tempting, look at a deal we saw on the 2015 BMW 328d sedan — a sporty, turbo-diesel luxury car anyone would love to drive. With a sticker price of $42,450, let's say you tried to buy that vehicle with a traditional 48-month loan at 3% interest and with a 10% down payment of $4,245. Your payments would be a checkbook-draining $845 a month — out of the question, right? Or you could take advantage of the 39-month lease BMW was offering, where the monthly payment was only $369 with $4,164 cash due at signing — a $3,000 down payment, $795 acquisition fee and your first monthly payment of $369. So, for the same up-front cash, you could lease that BMW with realistic monthly payments. Let's move forward 39 months when the lease is up and it's time to turn the car in. You would have spent just over $18,000 with nothing to show for it except an empty garage. That money is gone, and we're assuming that you haven't driven more than an average of 833 miles a month (or 10,000 miles a year). Return the car with more than 32,500 miles on the odometer, and you'll pay 20 cents for every additional mile. Say you changed jobs during your lease, and your commute got longer. Or what if you wanted to take a couple of big road trips? An extra 5,000 miles means you'll need to pony up another $1,000 to get rid of the car. We also hope you've been very neat and careful. If your toddler spills chocolate milk on the backseat or a jerk scratches your car in the parking lot, you could face hundreds or even thousands in additional fees for excess wear-and-tear. Realistically, you probably just spent $20,000 in just over three years, and now you're probably going to lease again and start another round of monthly payments. What if you had bought a very nice midsize sedan, a Ford Fusion or Honda Accord, that cost a little more than half as much as that Beemer? With the same cash investment and monthly payments, that car would be paid off, or almost paid off, and you'd have it to drive for as long as you want with no more monthly payments. Spending more than necessary on cars is one of the biggest wealth killers for Americans, and leasing enables many consumers to make that mistake. 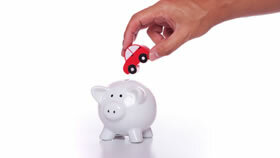 The only way you can save more is to earn more or spend less, and one of the biggest expenses you have total control over is the vehicle you drive. 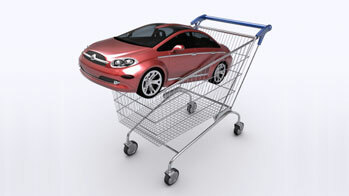 So how do you know how much you should spend on a car? What's truly affordable for you? We like the 4/20/10 rule. It says you should finance a vehicle for no more than four years, put at least 20% down and spend no more than 10% of your income on transportation expenses. So let's say you're making $45,000 per year and have $5,000 to use as a down payment. If you consider that your insurance and maintenance will run $100 per month, your monthly car note should not exceed $275. At an interest rate of 3%, it means you shouldn't borrow more than $12,500. Add in your $5,000 down payment, and that means you can spend $17,500 on a vehicle without putting your finances in jeopardy. It's not the end of the world to go a few thousand over that limit for a good vehicle, but you need to be realistic about what you can afford. Bill Hammer of Hammer Wealth Group in Melville, New York, says the best thing to do is buy a lightly used vehicle, then drive it for 10 years. If you do that and pay it off in four, you'll have six years every decade with no car note. This frees up money during those years to save more for retirement and even put away more money for the down payment on your next car. Going years without a car note puts you one step closer to financial freedom. "It can really pay off in the later years when you have no monthly payment," Hammer says. "You'll only have insurance [and maintenance]. You'll free up some money for savings." The bottom line is that while leasing may give the illusion of wealth, it won't help you build true wealth. Living within your means is the foundation real financial security is built on.